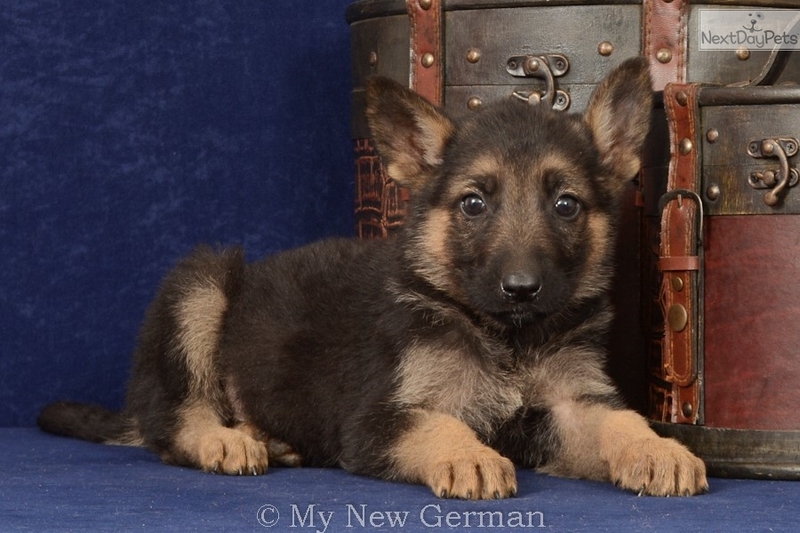 AKC Black and Tan Male - Sire OFA Excellent Hips! 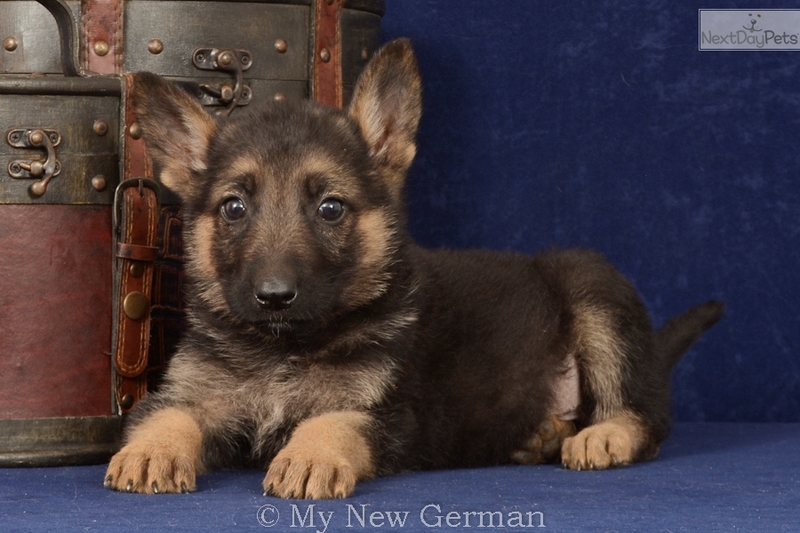 This German Shepherd nicknamed Koda sold and went to a new family. Meet Koda. 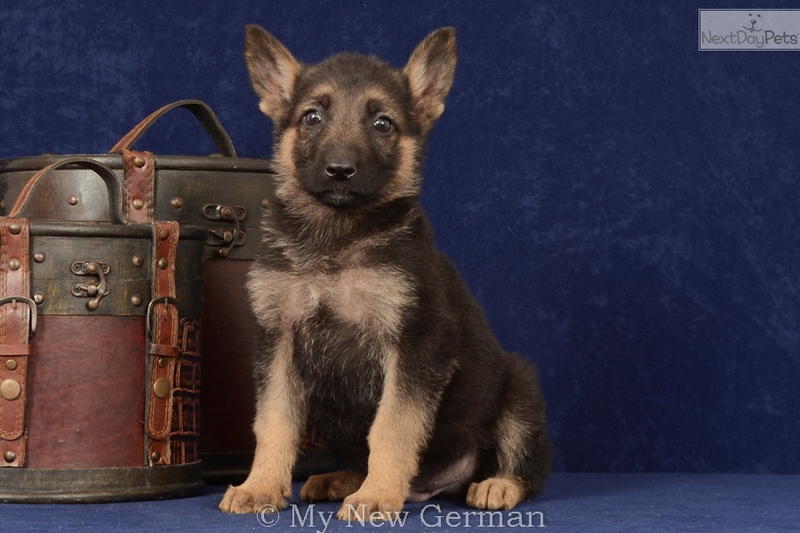 He is a purebred, black and tan, AKC registered male German Shepherd Puppy. 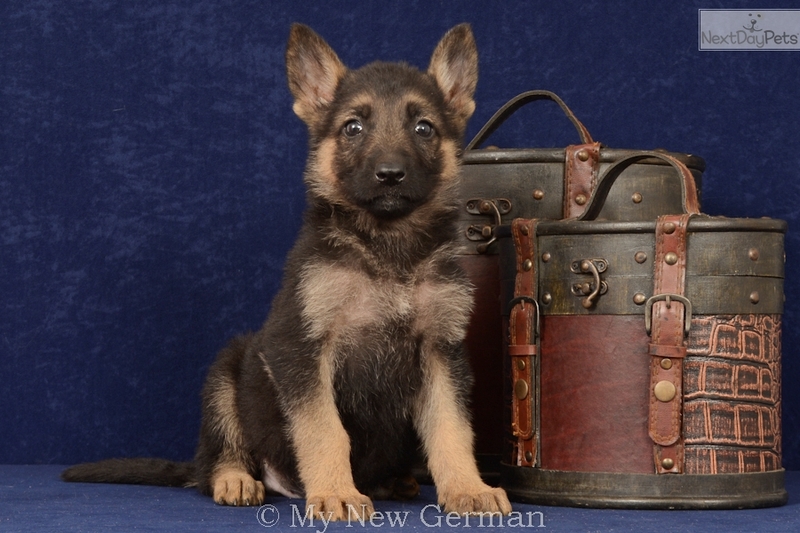 Please take the time to visit my website by clicking on the “Visit My Website” link on the right side or type in www.mynewgerman.com My website contains a lot of information about how I raise my puppies and has a FAQ section with a list of frequently asked questions including photos of the parents and links to pedigrees. The sire has OFA Excellent Hips, Patella, Cardiac, and DM clear! He comes with papers for AKC registration (breeding rights available for extra fee), complete medical record, health examination and vet health certification. I also provide a daily schedule including current diet, feeding schedule and potty routine which will help him settle in with your family and ensure a successful transition from our home to yours. He will come to you already fitted with a tiny harmless microchip that will stay safely in place for life, offering protection from loss, theft or separation. My goal is to raise the healthiest, happiest puppies possible and place each of them in a loving home. I have ensured that appropriate health certifications have been performed to check for serious hereditary health defects. As well as provide routine preventative health care and regular examinations by a licensed Veterinarian. Your new puppy will arrive up to date on vaccinations, vet checked and de-wormed. I also feed only premium, all natural, dog food. For these reasons I am able to offer up to a two year written and signed health guarantee with confidence for the newest member of your family. I have placed puppies in homes all over the United States and Canada. 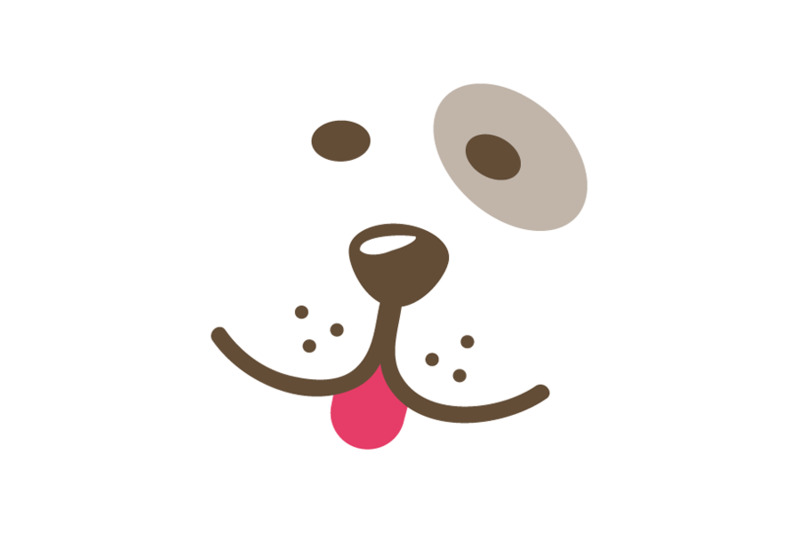 I am experienced at getting your puppy to you quickly and safely. I can arrange flights to most major airports starting at $295 (Includes Travel Crate). Not only do I want my babies to have good homes, I want my new owners to be as happy as my puppies are! I also offer a service member discount.